Stamps > Lawn Fawn Stamp "Celebration Countdown"
Lawn Fawn Stamp "Celebration Countdown"
3 2 1 time to craft! 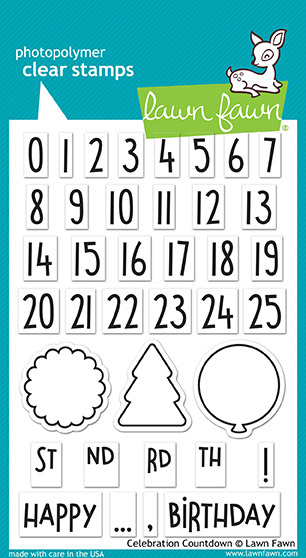 This collection of numbers 0-25 is great for creating advent calendars, birthday cards, or counting down to any special occasion. Made with care in the USA!